There is a sadness when anyone dies unnaturally, and the younger they are, the worse it seems. When a loss is related to drugs or alcohol, we often feel that the death was unnecessary and many people can become judgmental and critical of the person that has died. Such attitudes are often built around prejudice and ignorance. Addictive issues, like many other behaviours, are the symptoms of inner causes, and the idea that addicts should simply ‘pull themselves together’ is misplaced. 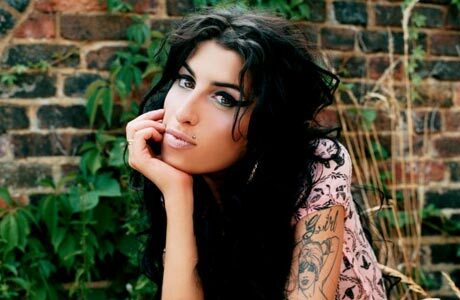 I was surprised and saddened by the tsunami of negative vitriol that followed the death of Amy Winehouse, and by the clear lack of understanding that people have about addictive behaviours. The assumption that addicts are as they are through choice is wrong. It is true that each of us is responsible for what we do with our life, and that we can all change once we understand, but addictive behaviour is always a symptom of an inner unresolved cause and not a problem itself. … the idea that addicts should simply ‘pull themselves together’ is misplaced. We all have inner unresolved issues that affect our behaviours. The person who needs to go to Mass every day to pray is chemically addicted to an emotional state of well-being created by the prayer. The act of going to church and performing the service creates an internal hormonal environment that leads to a sense of well-being. We would not describe that person as an addict, but they are. The person who runs regularly, or goes to the gym habitually, is also an addict. We are all addicted to something. It may be being miserable, or moaning; it may be being happy and jolly. We each create behaviours that are symptoms of our inner causes, good or bad, that we play out. Breaking habits and overcoming addictions is rarely an easy thing to do. In our effort to overcome our addiction, we usually seek to treat the symptom and not the cause; when we do this, nothing ever changes, and we revert to our old and learned behaviours. We all know this. When we attempt to make changes in our life and make a New Year resolution only to give up by the second week of January. Or the many, many people who are overweight and fail in diet after diet. Any smoker will tell you that quitting nicotine is a fine idea but a completely difficult task. For us all, our behaviours are simply symptoms of our inner causes. When our behaviours do not serve us well, then the inner causes require attention. In the main, that is what my work as a psychotherapist is about, about how we can each resolve the inner self that does not serve us well and create behaviours that allow us to create the life that we desire. It is true that our behaviour has consequences and when those consequences are death, and death in a very public forum, we are open to the views and criticism of every crackpot as much as every wise and caring person. When someone dies, it always leaves a hole. The larger the personality, the larger the hole. Like many people that live in the public eye, Amy has left in a sad but loud way. God bless you girl and wherever you are, I hope you find the peace that eluded you in life. 4 Comments on "Amy, what have you done?" You’re so right Sean, I guess the difficulty we all have is working out what our inner causes are as I’m assuming that very often they are well hidden below the surface! I think I must be addicted to being addicted, there’s always something! I can agree with much of what you say Sean, but not all of it. I may be speaking from a position of prejudice here, but life is precious, and taking responsibility for your own life, and invariably, the impact you have on others is in my opinion a primary one. I agree that we all have habits (maybe even addictions) that have formed through our conditioning, and others may judge them as good or bad. I prefer to ask if my habits and addictions are helpful or unhelpful – in other words, do they enable me to be the best version of myself. I cannot diagnose what psychological or emotional ills Amy may have been suffering, or for how long, but we all have will power, and in Amy’s case I doubt she lacked the resources to access first rate help and advice too. To inflict abuse on your body and mind knowingly is a choice, albeit driven by conditioning. I know many many people who have prevailed over their addictions, and also many who have simply not tried. It is tragic that Amy’s life ended so early, it is even more tragic that as a public figure, and with all the help available to her she could find the willpower to preserve herself and move beyond her past. Ultimately we are all responsible for ourselves, and allowing ourselves to submit to self destruction, or not, is a choice. To position it otherwise is perhaps to diminish the courage and fortitude of those who battle their addictions and win? Hi Paul. thanks for your comments. I agree with what you are saying, though there is a but. The ability of any individual to act in an autonomous way, and to really be self determining is always dependent on their level of insight. In my work I see people who range from a deep asleep level of consciousness, where they do not have no conception that change is possible let alone desirable, through to those who live in high states of awakeness and are able to make clear self determining actions that serve them well. It is a certain truth that we are each responsible for who we are and how we are, though the extent to which we are able to be responsible will depend on our level of awakens. Just as our behaviour is the result, or readout, of our inner state, our ability to grow and change is also a read out of our inner level of awakeness. The drives that allow us to change are often limited to two basic motivations. The first is awareness, as in I have the awareness or awakeness to realise that change is both desirable and possible, the second, and most common route, is that of pain, as in when I hurt too much, emotionally, mentally, or physically, that I am driven to do something about it. worked with many people that did not make it, and of those many died. Life for me is never a value judgment. A death never has more value than any other. In a world that is based in the natural occurrence of both birth and death there will always be those that are arriving and those that are departing. It is those that apparently leave early that cause us to question. I see it that it is our own inner causes, many of which that are unresolved, that affect how we perceive, and judge, the actions of others. ← Happiness is infectious; it might become an epidemic!